It was devastating to learn that, yet another veteran took his own life outside of a VA building in Missouri last week. A month before Veterans’ Day last year, we reported on a similar incident, which took place outside of the Veteran’s Administration Building in Phoenix, Arizona. Suicide is preventable and there is never any good reason why any veteran should ever reach the point of wanting to end his or her own life. Unfortunately, it is widely reported that veteran suicide occurs 22 times a day on average, which amounts to more than 175,000 losses a year — well beyond the number of combat casualties in Iraq and Afghanistan combined. The good news is that cannabis is helping veterans cope with the debilitating effects of PTSD and other wounds of war. It is also helping veterans transition off of the dangerous drugs too often over-prescribed by VA doctors including anti-anxiety meds, anti-psychotics and opiates, which only exacerbate thoughts of suicide. Unfortunately, cannabis is not available for veterans suffering with PTSD in states like Missouri, which haven’t fully adopted cannabis regulation. Our guest today is one who knows this problem all too well. Even in states where it’s legal, veterans often face barriers to access or fear of losing benefits. 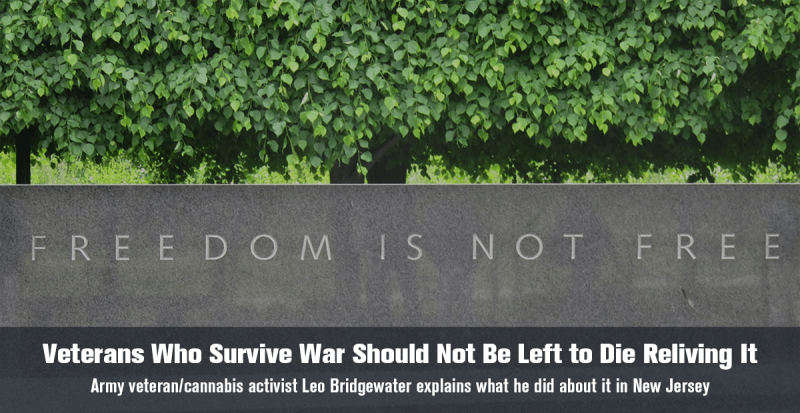 Leo Bridgewater is a retired Army Specialist and veteran of the Iraq and Afghanistan war who lives in the State of New Jersey, which only recently adopted medical marijuana regulation. Unfortunately, the New Jersey program failed to list PTSD as a qualifying condition for medical marijuana patients. Leo became one of three veterans who testified at New Jersey’s State House and his activism actually led to the addition of PTSD in New Jersey. Leo Bridgewater was an Army Specialist who served multiple tours in Iraq and Afghanistan and worked with some of the Army’s highest ranked officers as a communications liaison before retiring with an honorable discharge. Having struggled with PTSD himself, he began advocating for veteran access to cannabis after learning that several of his veteran friends lost their battles with PTSD and took their own lives. He was one of three veterans asked to testify before the New Jersey State Assembly to lobby for PTSD to be added to the list of qualifying conditions under the state’s medical marijuana program. 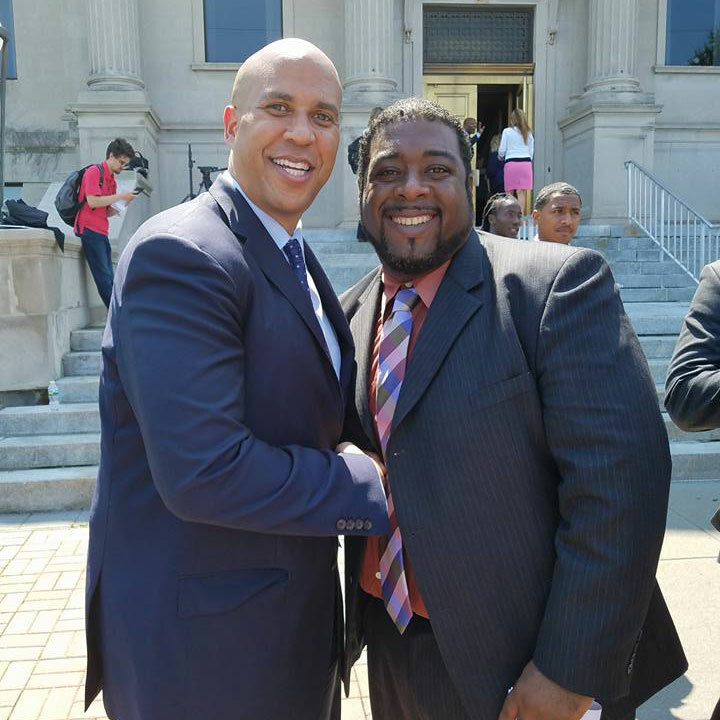 He invites veterans to connect with him through his nonprofit organization, New Jersey Cannabis Commission and at Facebook/LeoBridgewater. If not for the generosity of our supporters, we wouldn’t be here! We’d first like to express gratitude for our radio sponsors Alpine Miracle, Healthtera and Compassionate Certification Centers. We’d also like to shout out to our producer, Ed, our engineers and the team at Star Worldwide Networks, Erik Godal, the composer of our theme “Evergreen,” Dr. Bryan Doner for the Medical Marijuana Minute and XRQK Radio Network, Society Bytes Radio and Be Real Management for helping us spread the word. We are grateful!